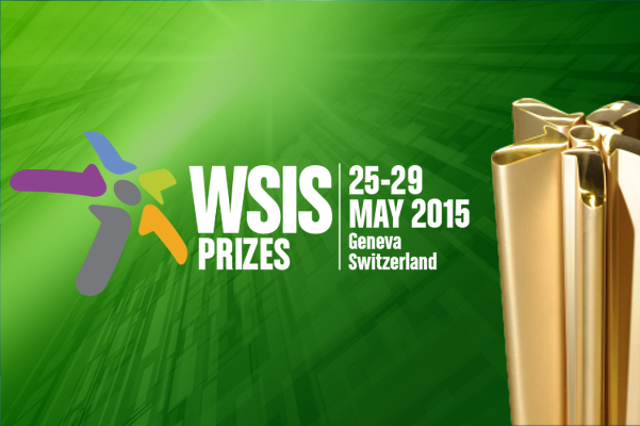 WSIS Forum 2016 WSIS Forum 2016 will be held from 2–6 May 2016 in Geneva, Switzerland. Please note that the dates of the Forum are tentative and subject to the final outcomes of the UNGA High-Level Meeting on the Overall Review of the Implementation of the WSIS Outcomes in December this year. 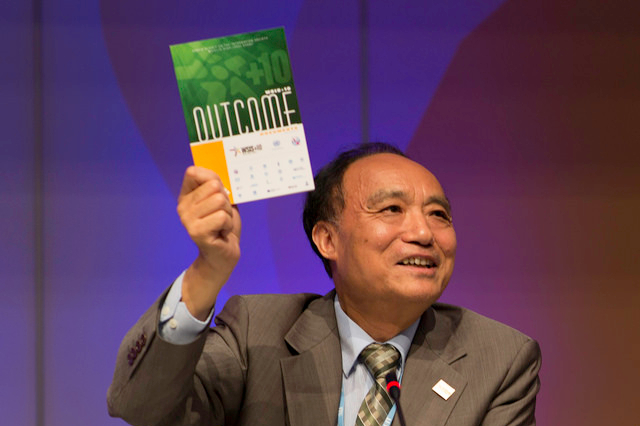 Outcomes This year the Forum attracted more than 1800 WSIS Stakeholders from more than 140 countries and provided structured opportunities to network, learn and participate in multi-stakeholder discussions and consultations on WSIS implementation. The outcomes, captured in the high-level policy statements booklet and the forum track outcome document, were presented on 29 May. 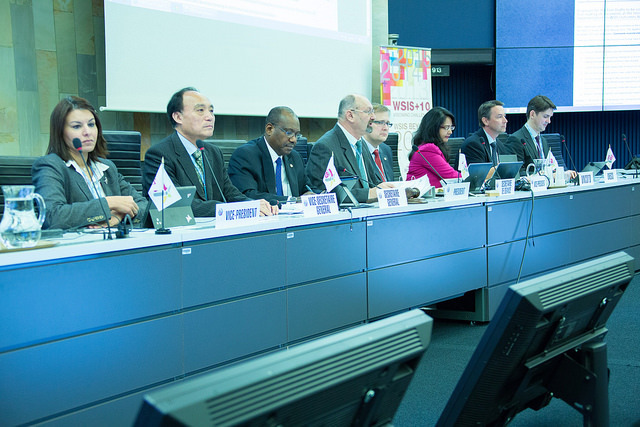 Agenda Building on the open consultation process, 90 sessions were held during the WSIS Forum 2015. 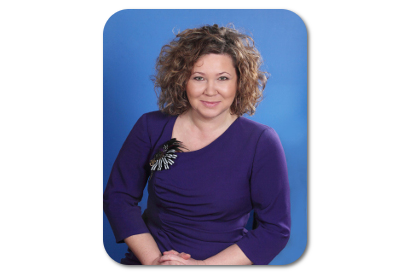 Refer to the Agenda for detailed session descriptions, session outcomes, presentations, handouts, and recordings. Policy Statements The High-Level Track provided a special platform for high-ranking officials of WSIS Stakeholders to express their views on the achievements, challenges and recommendations on the implementation of WSIS Action Lines, emerging trends and matters of strategic importance to the development of the telecommunication and information and communication technology sector. Media & Outreach Visit the Media & Outreach page to view all the photos, video highlights and interviews from this year's Forum. As well as to discover the WSIS Process news and social media channels where you can keep up-to-date on the latest WSIS related news and developments, and join other stakeholders to continue discussions on WSIS implementation online. WSIS Flash WSIS Flash is a monthly newsletter on WSIS related news, projects and activities. Subscribe to remain updated on the WSIS Process. 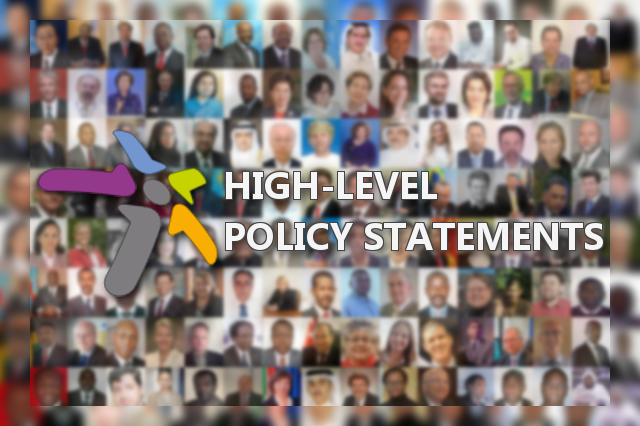 Policy Statements will be delivered during the High-Level Track (26–27 May 2015) of the WSIS Forum 2015 by high-ranking officials of the WSIS Stakeholder community. All WSIS Stakeholders are invited to request a speaking slot for their high-level officials for delivering a Policy Statement. Deadline for requests: 24 April 2015. 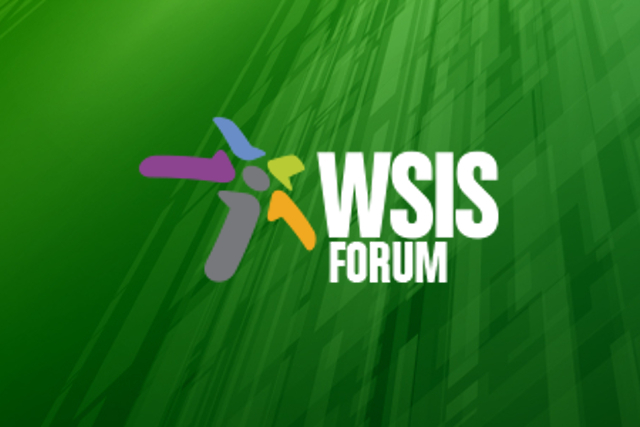 From 30 November 2014 until 6 February 2015, all stakeholders were invited to contribute their formal inputs towards shaping the themes and format of the WSIS Forum 2015. The ITU-WSIS Secretariat received more than 120 submissions containing proposals for the thematic workshops, including binding requests for partnerships, workshops, exhibition spaces and so on. 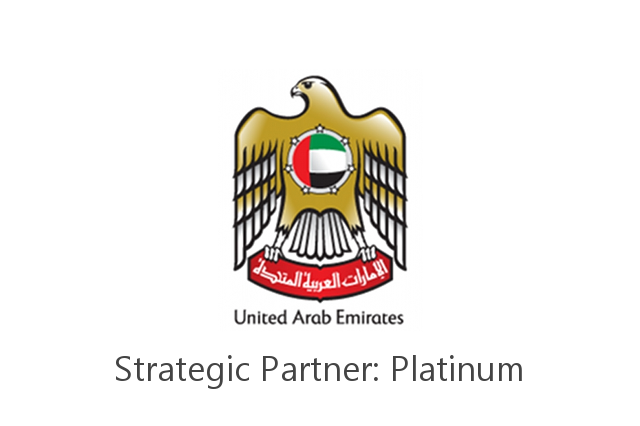 We are pleased to announce the United Arab Emirates (UAE) as the WSIS Forum 2015 Strategic Partner: Platinum. 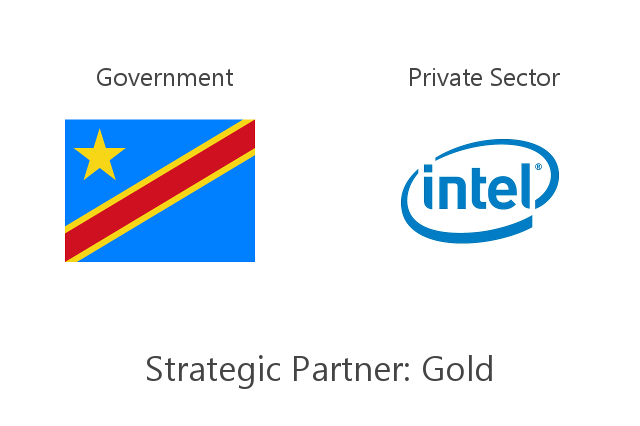 We are pleased to announce the Democratic Republic of the Congo as the WSIS Forum 2015 Strategic Partner: Gold (Government) and Intel Corporation as the WSIS Forum 2015 Strategic Partner: Gold (Private Sector). 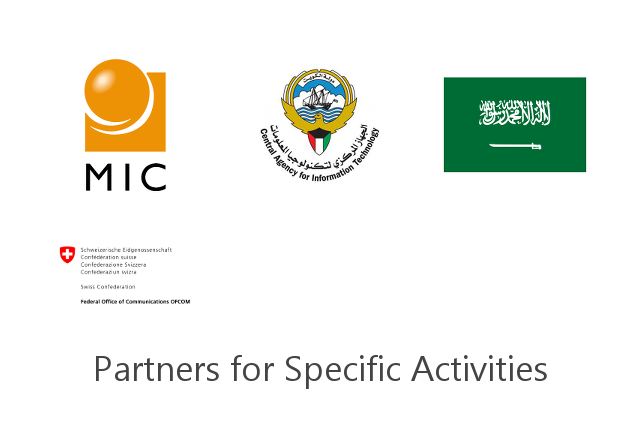 We are pleased to announce Japan, the State of Kuwait, the Kingdom of Saudi Arabia and the Swiss Confederation as WSIS Forum 2015 Partners for Specific Activities. 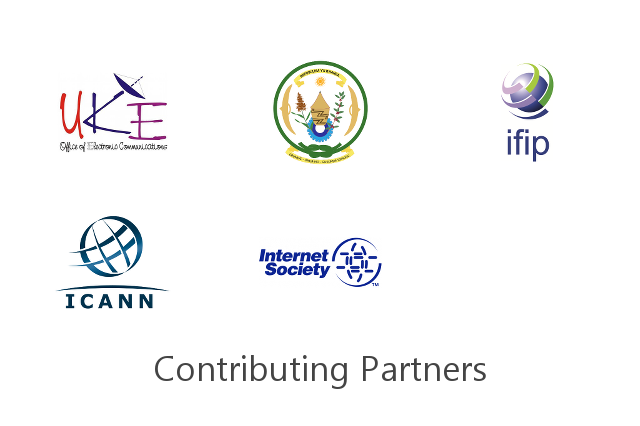 We are pleased to announce the Republic of Poland, the Republic of Rwanda, IFIP, ICANN and ISOC as WSIS Forum 2015 Contributing Partners. 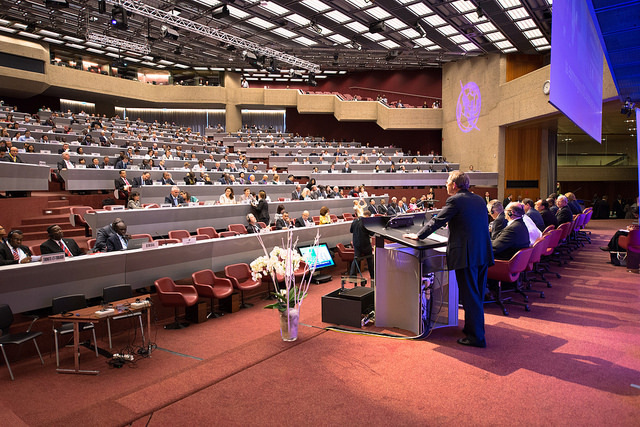 The WSIS+10 High Level Event, co-organized by ITU, UNESCO, UNCTAD and UNDP, was held from the 10–13 June 2014 in Geneva. A series of pre-event meetings were held on 9 June, on the eve of the WSIS High-Level Event. 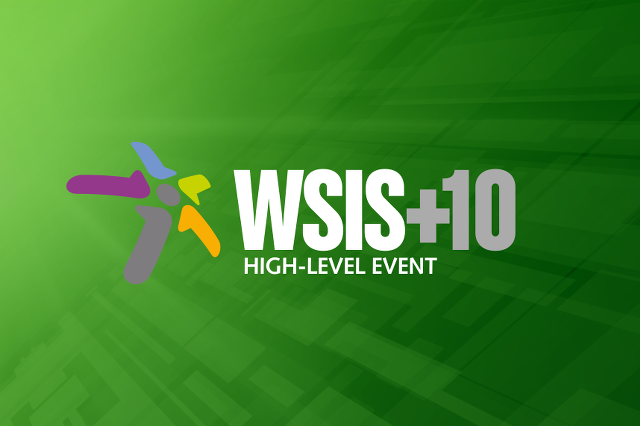 The event attracted more than 1600 WSIS Stakeholders from more than 140 countries. Several high-level representatives of the wider WSIS Stakeholder community graced the Forum with more than 100 ministers and deputies, several ambassadors, CEOs and Civil Society leaders contributing passionately towards the programme. The Event built upon two tracks, the High-Level Track, consisting of formal statements, handing over of prizes, and endorsement of the Outcome Documents, and the Forum Track which comprised of over 150 workshops, interactive sessions and knowledge exchanges. 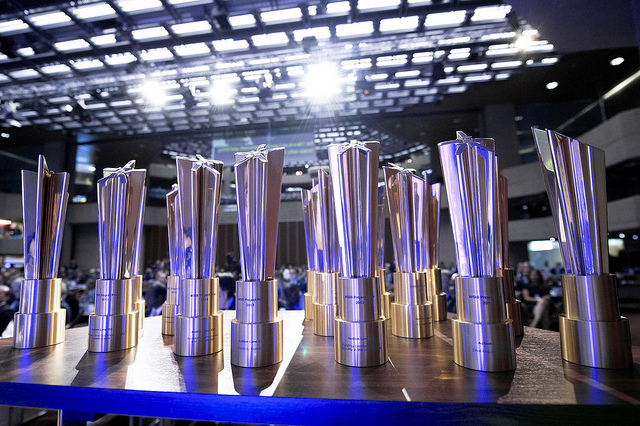 WSIS Project Prizes is a unique recognition for excellence in the implementation of WSIS outcomes. The WSIS Project Prizes 2015 contest will provide a platform to identify and showcase success stories and models that could be easily replicated; empower communities at the local level; give a chance to all stakeholders working on WSIS to participate in the contest, and particularly recognize the efforts of stakeholders for their added value to the society and commitment towards achieving WSIS goals.